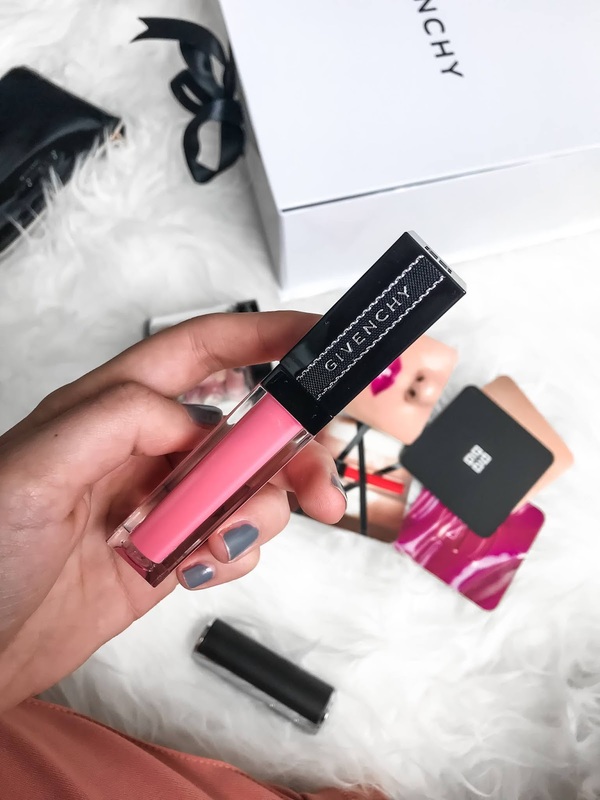 My New Givenchy Lipstick and Lipgloss! In my recent blogger mail, I received these two gorgeous products from World Duty Free. 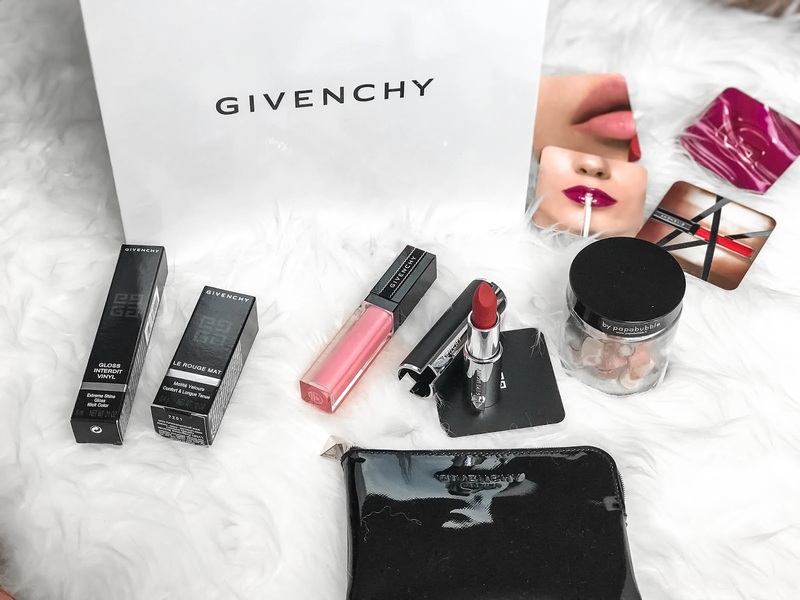 My little Givenchy gift box included the Le Rouge Mat Lipstick in Rouge Stiletto and the Gloss Interdit Vinyl in Crazy In Rose plus some extra's like the little Givenchy Parfum purse and sweets from Papabubble. 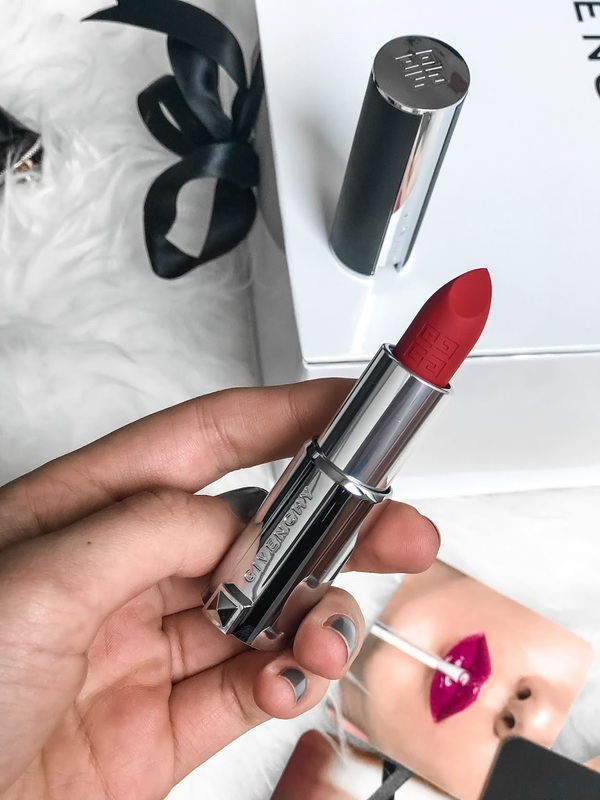 This has been my go-to red lipstick, I absolutely love the shade of red. It is also really easy to apply and blend. When it come's to this shade of lipstick, I usually struggle quite a bit. With the bold colour it's really easy to make a mistake when applying and it stands out like a sore thumb. But I feel amazing when wearing this lippy. The packaging is made out of genuine leather and feels expensive. If you buy from World Duty Free you can save £4.70 from the RRP costing only £23.30! Lipgloss isn't something I would grab for as part of my daily makeup routine unlike lipstick. However, when I'm going out somewhere nice or having one of those days where I want to experiment with new makeup - lipgloss is the one. I absolutely love the shine and softness it creates. This gloss is medium coverage so you can mix with your lipstick underneath or wear alone. You can use it to contour your lips and look glamorous! The formula also uses Black Rose oil, which leaves the lips 'soft and supple with an absolute feeling of comfort'. Oh and there's a little G stamped on the end of the applicator, it's the little things that I love.